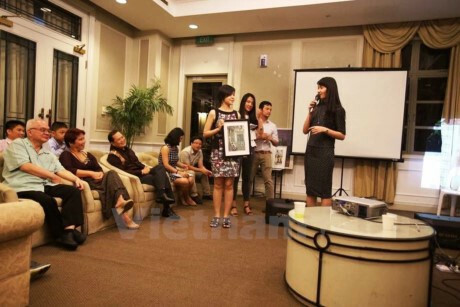 A charity foundation established by a group of Vietnamese expats living in Singapore has presented scholarships to nearly 120 disadvantaged students with excellent academic results, aged 15-18, across Vietnam over the past three years. An annual fundraising event of the Orchid Scholarship Foundation. Speaking at the annual fundraising event last week, President of the Orchid Scholarship Foundation Luu Quang Hung said the scholarships, worth VND2 million (US$90) each, aims to inspire the students’ passion for learning and their will to overcome difficulties. The Orchid Scholarship Foundation is an initiative to encourage Vietnamese students and lecturers in Singapore to share opportunities with underprivileged children and contribute to changing Vietnam’s education for the better, noted Prof. Phan Thien Nhan, a lecturer from the National University of Singapore (NUS) and one of the main sponsors of the foundation. Last year, the foundation awarded scholarship for 50 students from gifted schools in Hanoi, Ho Chi Minh City, Thua Thien-Hue and Thanh Hoa. Additionally, it has organised a number of seminars to share experience as well as opportunities in studying abroad, and to cooperate with the PDG Trust Fund to grant scholarships for undergraduate students.